Search Manalapan homes for sale. Call 732-598-7700 to see the homes in Manalapan. Manalapan has more than 14,000 homes in the town, also there are a number of condos. Most of the Manalapan homes for sale are single family homes. Homes in Manalapan can be starter homes, upscale luxury homes or indeed, any type of home in between. Manalapan derives from a word in the Lenape language which means “land of good bread” or “good land to settle upon”. 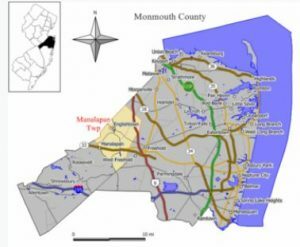 In 1848 Manalapan was formed from portions of Freehold Township. 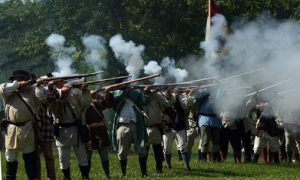 During the Revolutionary War the Battle of Monmouth was fought on land that is in both Manalapan and Freehold Township. Molly Pitcher was a famous figure at the Battle of Monmouth. In 1848 Englishtown was formed as a separate borough. The land for Englishtown was taken from Manalapan, and Englishtown is entirely surrounded by Manalapan. Both towns share the post office and the zip code, also the school system. The population of Manalapan homes, as of the 2010 Census was reported as 43,353 people. At that time, the median household income was $112,195, also the per capita income was $45,302. Manalapan has a crime index rating that is well below the average for both NJ and the United States. Center. Four schools, Clark Mills, John I Dawes, Milford Brook and Taylor Mills are for grades 1-3. Three schools, Lafayette Mills, Pine Brook and Wemrock Brook serve children in grades 4-6. Middle school children, while grades 7-8 attend Manalapan Englishtown Middle School. High school children will attend the Freehold Regional High School District. There are six high schools in the Freehold Regional High School District. the schools are Manalapan, Freehold Township, Colts Neck, Freehold, Howell and also Marlboro. Children attend the high school according to boundaries set by the district. Most, but not all children from homes in Manalapan will attend Manalapan High School. As a result, some will attend Freehold Township High School. For students who are talented and highly motivated, each of the six high schools also has distinct specialized Learning Centers. Any student from the region has the opportunity to enroll and admission to these schools is through a competitive process. SAT scores at all of the high schools consistently exceed state and national averages. Not surprisingly, more than 87 percent of the district’s students continue to higher education. If you wish to see any homes for sale in Manalapan call us at 732-598-7700.